Now, here is a find. Australian coloratura soprano Emma Matthews seems to have been around for some time. Her bio says that she made her debut with the Sydney Opera as far back as 1993, but only made her debut with the Royal Opera House in 2010. I discovered her very recently thanks to a just released DVD of Lakmé precisely from the Sydney Opera. 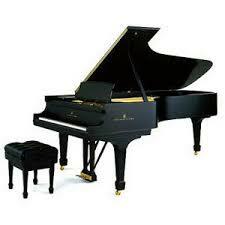 Her voice is uncommonly good, with a full, true center and predictable easy top. She is also very musical and has some individuality, a sine qua non requisite for me. Looking in Amazon for other recordings she might have made I found this recital, and was shocked to see the DG logo. It was crazy expensive: $40.00, but couldn´t resist and ordered it. As it happens it´s not really a DG recording, you won´t find it in their international catalogue, but rather an Australian ABC recording, a down under Universal company. This recital was recorded in 2010 and if anything, is even more impressive than the Lakmé. I can´t understand why DG didn´t gave it an international release. 1. Bernstein. Glitter and be gay. 2. Delibes. Bell Song from Lakmé. 3. Flotow. The last rose of summer from Martha. 4. Donizetti. Regnava nel silenzio from Lucia di Lammermoor. 5. Bellini. Oh quante volte from I Capuleti e I Montecchi. 7. Thomas. Ophelia´s Mad Scene. 8. Offenbach. Olympia´s aria from Les Contes d´Hoffmann. 9. Proch. Deh! torna, mio bene. A coloratura theme and variations discovered by Richard Bonynge. 10. Bowman. Now touch the air softly. José: You are costing me more $$$! But it's money well spent. Your suggestions thus far have been "right-on," and I'm looking forward to hear this most diversified program featuring Emma Matthews! Thank you for the tip. Sorry Lance, yes, I know it is expensive to buy these Australian cd´s, but I´m sure you will find very rewarding the singing of Emma Matthews. Besides the recital there´s the Lakmé and a Rigoletto with Alan Opie, both from the Sydney Opera House, and both available in cd and dvd, those are splendid too. I wonder if one of CMG Australian members has heard her live and can tell us something more about her. It is strange that DECCA, for example, is recording Polish soprano Aleksandra Kurzak, a pretty girl no doubt (and I guess much younger than Emma Matthews) but who is nowhere as interesting or gifted a singer...at least from what we get in her debut recording. I have followed Emma Matthews since her 1993 debut here (then Emma Lysons). She is a superb singer and a committed actress. She is one of the few singers that I have seen/heard who can triumph in the 4 soprano roles (in a single performance) of Hoffman - including that other Australian soprano. 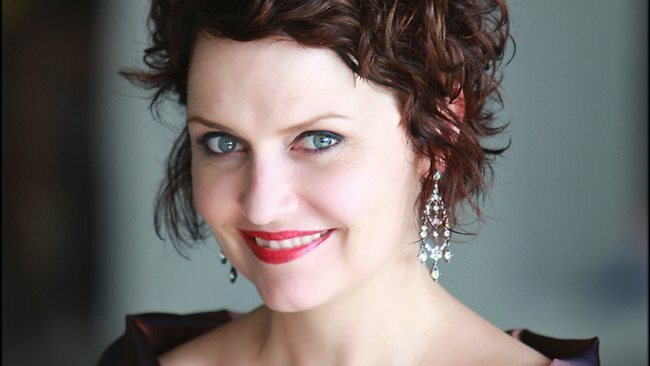 I will be seeing Emma Matthews in Lucia di Lammermoor later this year in Sydney. This promises to be a highlight of the season. Emma Matthews bio from Opera Australia is here. bricon wrote: I have followed Emma Matthews since her 1993 debut here (then Emma Lysons). She is a superb singer and a committed actress. One is completely baffled that there´s such a great soprano and you have never heard of her. I am very thankful that the Sydney Opera is releasing these performances in both cd and dvd, a truly great idea. If you ever have a chance to talk to her, tell her that she is making lots of fans in Mexico thanks to these cds. admired her for quite a few years. How come you guys never told us about her? I have played her Rigoletto twice and my admiration, if anything, only increases. Well, truth be known, Australia has certainly given many gifts, in the way of singers, to the world I am truly appreciative. I have yet to make it to Australia, but it is a dream I have to visit there one day (and maybe New Zealand - perhaps Kiri and I can play golf together!) Insofar as Aleksandra Kurzak goes, I have that recording, too and was impressed with her voice for the most part. Speaking of sopranos, what has happened to Sumi Jo of late? I think she is another Richard Bonynge soprano. However, no doubt the finest soprano he has worked with (outside of Dame Joan, of course) is Deborah Riedel, who died at age 50 from cancer. If you don't know this voice, try to acquire her two Australian Melba CDs. Melba Records is apparently not receiving funding like they have in the past and heaven only knows what may happen with the label. Their productions, I have found, are absolutely first class! josé echenique wrote: Sorry Lance, yes, I know it is expensive to buy these Australian cd´s, but I´m sure you will find very rewarding the singing of Emma Matthews. 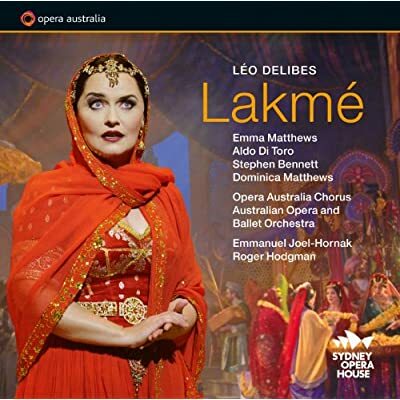 Besides the recital there´s the Lakmé and a Rigoletto with Alan Opie, both from the Sydney Opera House, and both available in cd and dvd, those are splendid too. Sumi Jo sang here last year and it was a disappointment. Her voice is worn now, and she went trough the motions like a mechanical doll. Not pretty. But to tell the truth, even in her best years I was not a fan. She had a little, pretty voice without much character. She was pleasant rather than memorable. Just compare Lella Cuberli in either of her Tancredi Amenaides with Jo in the Naxos recording. There´s pretty and then there´s truly great singing. I can´t have enough of Emma Matthews. I played again her Lakmé and just confirmed my first thoughts, she is quite simply fabulous. She is very cute Lance. I think the A & R people from Universal are completely insane for not recording her. CD arrived today and checking it out now. So far, all I can say is WOW! What a voice. Where have I been all this time?!? I note ABC Classics and DGG both have their logos on the CD. The catalogue number is similar to ABC Classics' type and is also similar to DGG's. What label would you file this under on your shelves, José? Lance wrote: CD arrived today and checking it out now. So far, all I can say is WOW! What a voice. Where have I been all this time?!? Isn´t she GREAT Lance? I know the good girls from the bad, and this one is very, very good. I think it´s an ABC recording, it does not appear in any DG catalogue, so my guess is that the DG logo appears just for prestige, but really, it´s ridiculous that they didn´t incorporate this outstanding recording into their international catalogue. 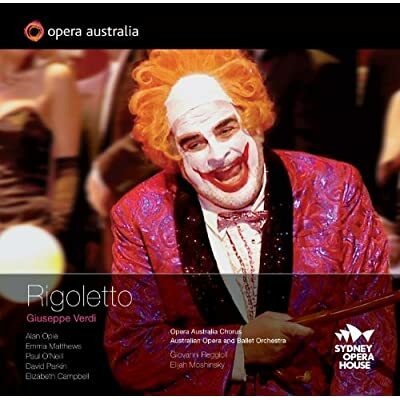 And don´t forget that there is a Rigoletto and a Lakmé both on cd and dvd from the Sydney Opera House. The Lakmé is particularly treasurable, but madame Matthews is outstanding in both. José, I'm having problems getting to the operas you refer to at the Sydney Opera House site. Can you send me an active URL that gets me there quickly? ¡Gracias! Lance wrote: José, I'm having problems getting to the operas you refer to at the Sydney Opera House site. Can you send me an active URL that gets me there quickly? ¡Gracias! The Sydney Opera House is not directly associated with Opera Australia, furthermore the SOH's giftshop and merchandise offering is quite pathetic. OA don't sell their recordings through their website although they are available over the counter at their Surry Hills rehearsal studios. I buy quite a lot of recordings from Fish Music in Sydney - they stock all of the Opera Australia recordings. Thank you, José and Bricon. These are recordings I will acquire.